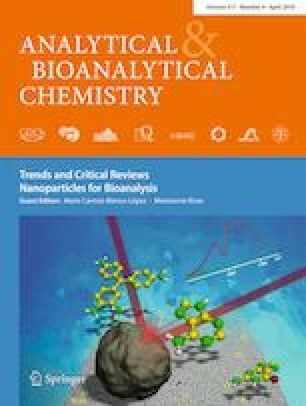 In this study, carbon nanodots (CNDs) with excellent aqueous dispersibility, narrow size distribution, and oxygen-rich functional groups have been prepared via a green electrochemical method. Graphite electrodes were directly electrolyzed at ambient temperatures to form uniform CNDs in deionized water, which is free from additional oxidant/reductant. 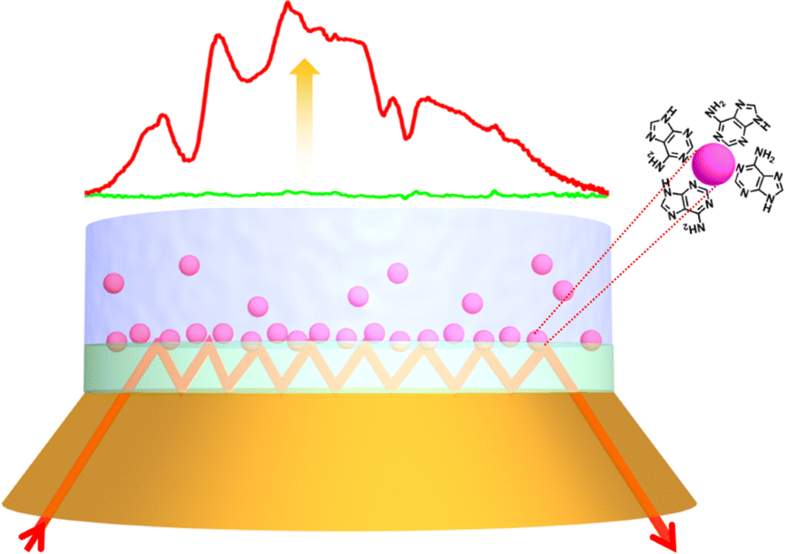 As-synthesized CNDs have been applied to coat an attenuated total reflection (ATR) waveguide enabling surface-enhanced infrared absorption (SEIRA) spectroscopic studies for detecting a variety of analytes in aqueous phase with remarkably enhanced IR band intensities. Finally, the proposed ATR-SEIRA strategy enabled quantitatively analyzing adenine in aqueous solution after optimizing the amount of CNDs, the solution pH, and potential CND aggregation. The online version of this article ( https://doi.org/10.1007/s00216-018-1521-9) contains supplementary material, which is available to authorized users. YH gratefully acknowledges the Chinese Scholarship Council (CSC) for financial support. YH and BM thank the strategic partnership program funded by the DAAD “U5—Ulm University” (#57271317) for facilitating research exchange between Ulm Univ. and Shandong Univ. LC is also supported by Startup Funding of Distinguished Professorship of “1000 Talents Program” (#31370086963030).